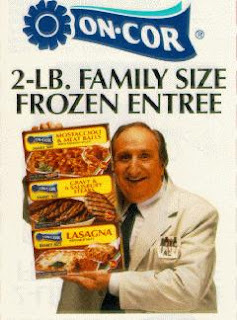 Before there was Richard Kind, there was lovable "Al the Grocer," Al Molinaro. In this older ad from the original Gallery of the Absurd, Al shows us that "Happy Days" are here again. I wonder if "2-lb. family size" refers to him or the entree.